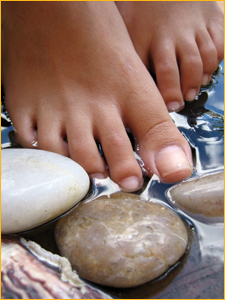 Studio G salon & spa of Geneseo offers a natural approach with their Manicures and Pedicures. A relaxing service that leaves you pampered and with beautiful nails. Add the finishing touch to your overall appearance with a manicure or pedicure. Our customized treatments will moisturize and revive your hands and feet, leaving skin hydrated and noticeably well-groomed. Manicures include cuticle care, filing and shaping nails, polish of your choice and moisturizing hand massage.